A Toronto landlord says she’s been conned by a “professional tenant” who’s been living in her Yorkville home since July without paying rent. “It’s been a living hell for the past two months,” landlord Robin Ennis says. A Toronto landlord says she's been conned by a "professional tenant" who's been living in her Yorkville home since July without paying rent. "It's been a living hell for the past two months," Robin Ennis said in an interview with CBC News. 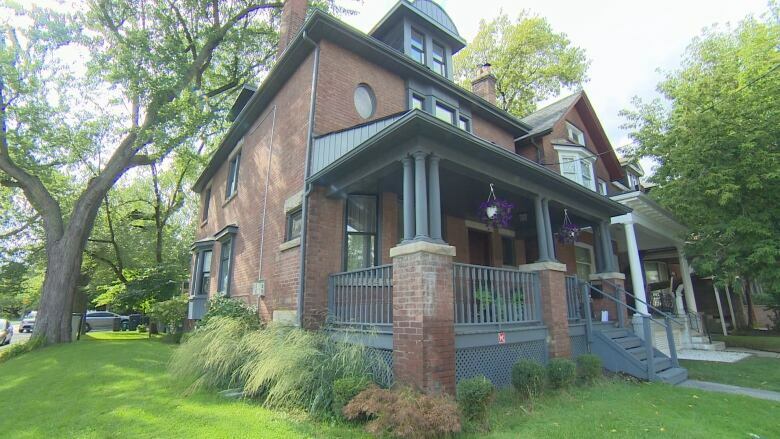 The matter is the subject of a case being heard by the Ontario Landlord and Tenant Board. The tenant, James Regan, 62, lost a similar dispute at the board earlier this year over another property he was occupying. The board ordered his eviction in that case. 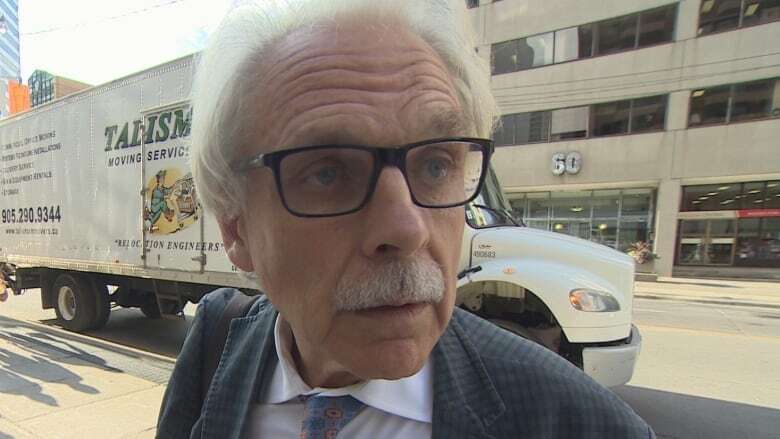 Regan appealed that eviction and lost in Ontario Superior Court, a process that took eight months, during which he lived rent-free in the condo near Old Mill Road and Bloor Street West. Rent was $3,200 per month and, according to court documents, Regan owed more than $25,000 when a second eviction was ordered on July 29. He never paid any of that money, court documents show. The following day, Ennis said she met Regan, who was well-dressed and polite, when he inquired about renting a second-floor apartment in her home on Avenue Road near Dupont Street. Ennis says they signed an agreement to lease and Regan promised to pay first and last month's rent, provide proof of insurance, as well as a credit and criminal background check. But the following day, Friday July 1, Ennis says Regan showed up at the home unannounced claiming to have valuable art he urgently needed to store. Ennis gave Regan the keys to the unit, which she says he did not return. By July 2, Ennis says Regan had moved himself and other belongings into the home. When she confronted him about paying first and last month's rent, Ennis says Regan was confrontational. "He stole the keys and said I'll see you at the Landlord and Tenant [Board]," Ennis said. The matter was first heard by the board on Sept. 8, but only one of Ennis's two complaints could be dealt with, because Regan claimed he didn't receive the right paperwork in the mail. The matter has been pushed back until late November. Regan "knows how to play the system," Ennis's property manager, Domenic Fratia, said in an interview. "He comes back and says he was never served with the notice of the hearing. So it bought him another month, and he'll stay in the rental unit for free." 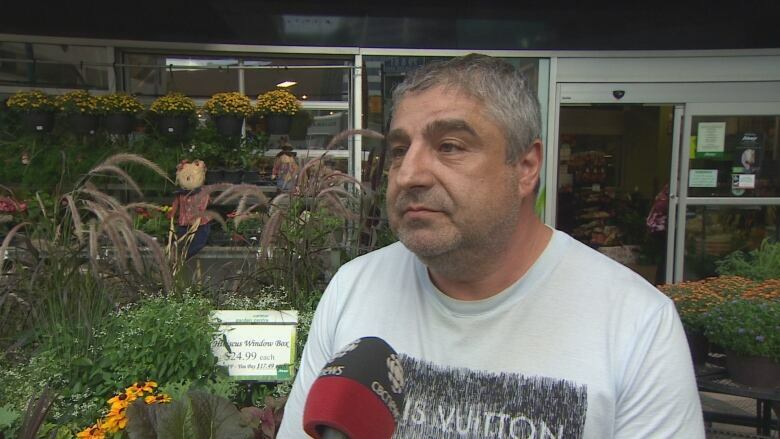 Following the Sept. 8 hearing, Regan was asked by CBC News why he hasn't paid rent. 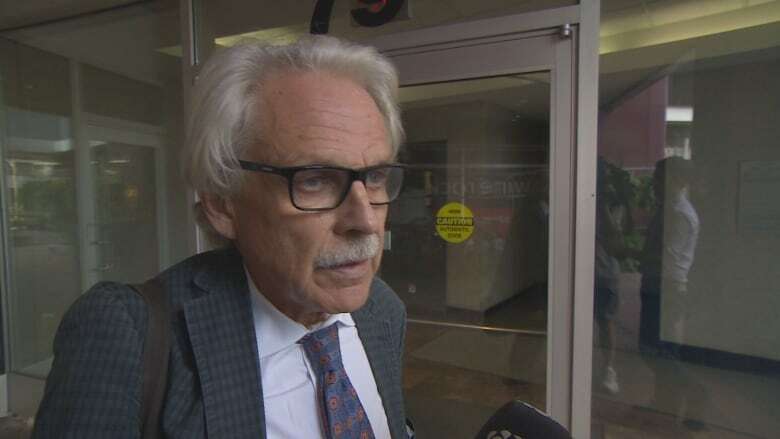 "Because the legal opinions I've been given are indicating that there's a breach of the landlord's responsibility," Regan said outside of the Landlord and Tenant Board offices. "That's the process. If you feel you've been wronged, you take the matters to court." James Regan claims he was "wronged" by his landlord. Regan didn't specify how he's been wronged. But in a letter he wrote to Ennis's employer, obtained by CBC News, he complains of a faulty air conditioner. Ennis and Fratia say the apartment is in perfect condition. "He's professional tenant. That's what I call him," Fratia said. "They find places to live, hopefully stay for eight to nine months. As soon as they know they can't go any further, they find another place to move into and do the exact same thing. And our system allows them to do that." Toronto real estate lawyer Matt Maurer has dealt extensively with cases like these and says many landlords complain that the Landlord and Tenant Board is too "tenant-friendly." "If the tenant knows how the system works and where the loopholes are, they can use those to stay in a rental unit for a very long period of time without paying any rent," Maurer said in an interview with CBC News. Maurer says it can take more than a month for the board to hear a case of a tenant who is refusing to pay rent. He says some tenants will attempt to delay the process by bringing their own applications alleging deficiencies with the property and seeking rent abatements. Once the case is heard, the board's first step is often to order the payment of rent, Maurer says, but tenants will often default. Months can pass until the board orders an eviction notice, which Maurer says can be immediately appealed, as Regan has done. Maurer says tenants can't be evicted until a decision in the appeal is made, which takes even more time. "All of sudden you're eight or nine months in, and the tenants are $10 to $15 thousand in arrears."